Nigeria is situated in the West African region and lies between longitudes 3 degrees and 14 degrees and latitudes 4 degrees and 140 degrees. It has a land mass of 923,768 sq.km.. It is bordered to the north by the Republics of Niger and Chad. It shares borders to the west with the Republic of Benin, while the Republic of Cameroun shares the eastern borders right down to the shores of the Atlantic Ocean which forms the southern limits of Nigerian Territory. The about 800km of coastline confers on the country the potentials of a maritime power. Land is in abundance in Nigeria for agricultural, industrial and commercial activities. Temperatures across the country are relatively high with a very narrow variation in seasonal and diurnal ranges (22-36t). There are two basic seasons; wet season which lasts from April to October; and the dry season which lasts from November till March. The dry season commences with Harmattan, a dry chilly spell that lasts till February and is associated with lower temperatures, a dusty and hazy atmosphere brought about by the North-Easterly winds blowing from the Arabian peninsular across the Sahara; the second half of the dry season, February - March, is the hottest period of the year when temperatures range from 33 to 38 degrees centigrade. The extremes of the wet season are felt on the southeastern coast where annual rainfall might reach a high of 330cm; while the extremes of the dry season, in aridity and high temperatures, are felt in the north third of the country. 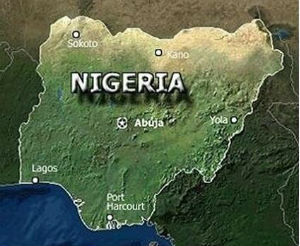 Nigeria is famous for her huge population of about 140 million people - the largest national population on the African continent. This population is made up of about 374 pure ethnic stocks. Three of them, Hausa, Ibo and Yoruba are the major groups and constitute over 40 per cent of the population. In fact, about 10 ethnic linguistic groups constitute more than 80% of the population: the other large groups are Tiv, Ibibio, Ijaw, Kanuri, Nupe, Gwari, Igala, Jukun, Idoma, Fulani, Edo, Urhobo and Ijaw. The gender divide of Nigeria's population, as indicated by the last census in 1991, reflects an unusual inbalance in favour of male dominance; 51% male: 49% female. Source: Embassy of the Federal Republic of Nigeria, Washington D.C.
You can also click here for more information about Nigeria. there is so many things i need to know.i dont even know the names of our past presidents.